Fear of public speaking - One of the biggest fears on the earth. 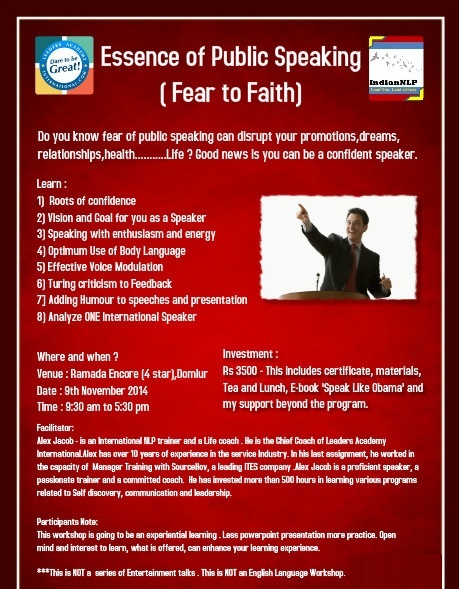 Fear of public speaking can disrupt YOUR CAREER, DREAMS, RELATIONSHIPS, PROMOTIONS, MONEY ........? ATTEND THIS LIFE CHANGING WORKSHOP. GURANTEED RESULTS.